In middle school, Banned Books Week was always my favorite time of year. It was the one time when my nerdy bookworm self could feel like a badass. Our town library would put banned books on grand display in the Teen Room, where car-less pre-teens sometimes ended up after school, and I could point to Philip Pullman&apos;s His Dark Materials trilogy and say, "those are my favorite books." In retrospect, I was incredibly lucky to be able to do this. I didn&apos;t realize at the time how rare it was that I grew up in a community that allowed — and even supported — controversial books. The American Library Association lists His Dark Materials, as a series, as the eighth most banned or challenged book from 2000-2009. It is most often challenged for its "political viewpoint, religious viewpoint, and violence." These are not absurd claims to make against the series. Pullman wrote an incredibly complex and nuanced story under the guise of a young adult series. But it is a young adult author&apos;s responsibility to introduce themes that the reader will soon have to address and attempt to grasp in his or her own lives. In the first book, The Golden Compass, pre-teen Lyra has stark conversations on the concept of Genesis-based loss of innocence and (spoiler alerts galore for this paragraph) watches her best friend die. 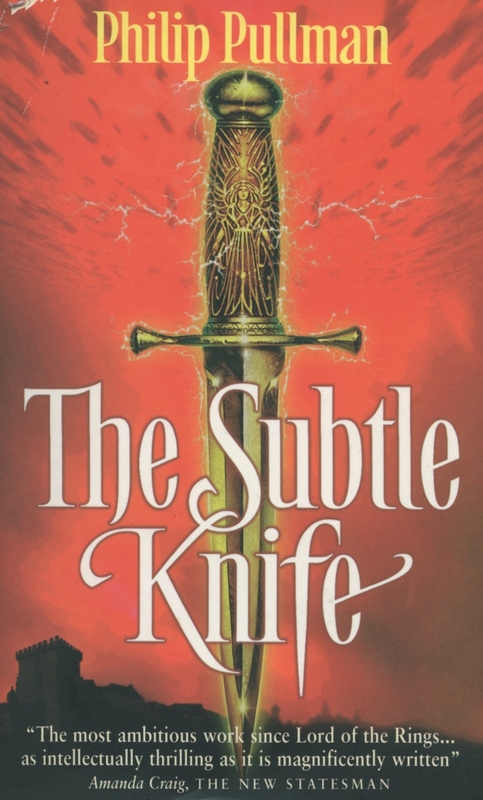 In The Subtle Knife, 12-year-old Will kills a man within the first few pages, and we hear how he raised himself as his mother succumbed to extreme mental illness. But in The Amber Spyglass … Well, in The Amber Spyglass we start with a pair of gay angels, reach a climax with the death of God, and end with the most wrenching heartbreak you&apos;ll ever experience. OK, maybe that last piece isn&apos;t strictly banned book-worthy, but I&apos;d be lying if I said I never considered ripping out the last few chapters because of it. His Dark Materials is very obviously a massively controversial series. When I was 11, it was the most difficult yet shockingly readable literature I&apos;d ever read. I finished the series a few days before starting middle school, but I never considered the divide between elementary and middle school a defining point; instead, there was before-HDM and after-HDM. I had never before been challenged to think — really think — about very "adult" concepts like innocence, government structures, religious ideology and institutions, the relationship between science and mysticism, pride, or the nature of humanity. These are ideas that are not often offered in digestible form to pre-teens. And even when the topics arose in front of me, I thought they would be banned — a door in my brain to open when I was a grown up. But Pullman opened this door for me, a decade before my university professors would address these very same concepts. Like the librarian who displayed the banned books every year, Pullman put the ideas in front of me, allowing me to take a closer look if I wanted. More than that, though, he encouraged me to do so. His Dark Materials emphasizes the magic of being young and the power that comes with it. Lyra and Will&apos;s untrained ease with the alethiometer and knife demonstrated that us kids could grasp concepts adults thought beyond our reach. I don&apos;t think that my brain has ever expanded more rapidly than when I read that series on constant repeat, thinking about it at all times of day and night, arguing with myself over huge ideas — the existence of God, the essence of being, proper interpretation of the Bible, love and lust, and everything in between. The amazing thing is, though, after-HDM, these ideas never seemed like untouchable, "grown-up" subjects. Pullman made them accessible. His Dark Materials does not preach "you&apos;ll understand this when you&apos;re older." It does not ban important questions from young minds. Instead, it asks young minds to explore big, almost incomprehensible issues. That&apos;s remarkable. 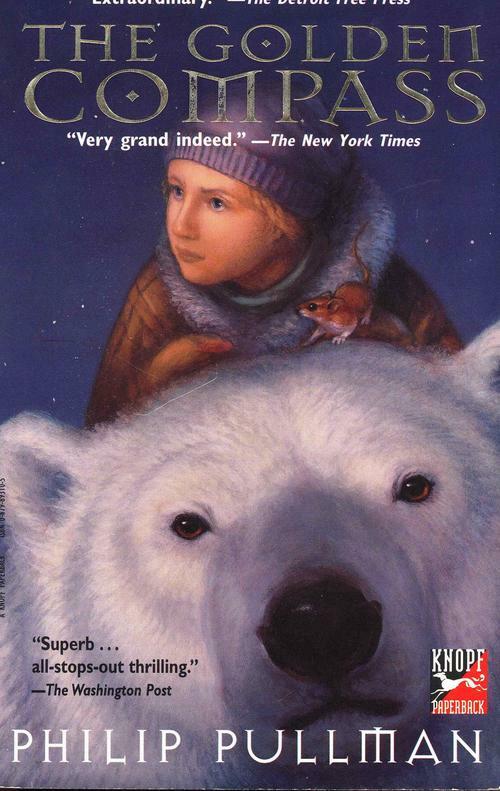 At 21, I think His Dark Materials remains the most difficult yet shockingly readable literature I&apos;ve ever read. Each time I go back to it, I take something different with me: noticing lines of brilliance I&apos;d somehow missed, or reinterpreting a theme. I still question parts of Pullman&apos;s writing and find it difficult to understand varying points. I have yet to find another series this intellectually stimulating — and narratively compelling. The concepts Pullman waltzes with are notions we should reflect on our entire lives — not only as young adults, but also, just as certainly, not only when we&apos;re "old enough to understand." And man, do I feel lucky that my town celebrated Banned Books Week rather than necessitated it. This story is part of an ongoing series on the "books that changed our lives." Read more from pundits here, and e-mail elena@policymic.com if you are interested in contributing.